For the first time in nearly four years, the U.S. 10-year governmental bond yield hit 3% this past Tuesday. This is a key interest rate milestone that should ripple through the financial markets. This was the first time a 10-year treasury note hit the key psychological level of 3 percent since January 2014. Investors are saying that the rise in yield serves as a halfway point in its cycle of rate increases. Policy makers have signaled intent to raise rates two more times in 2018 and three times in 2019 (they stated this in a march meeting). 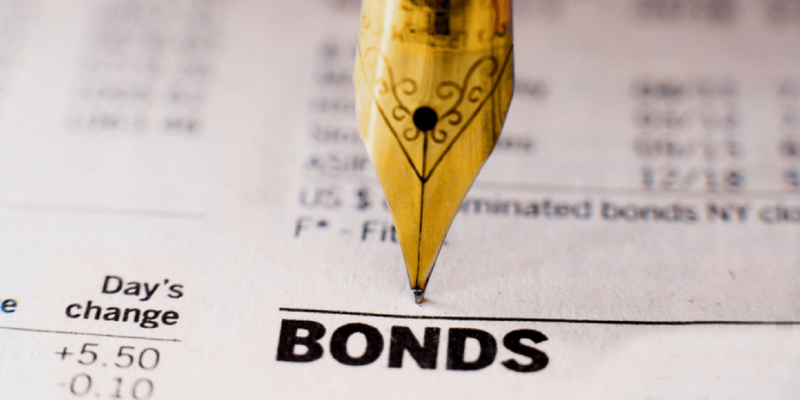 Many investors have been gripped on the 10-year bond yield as the climbed upwards, concerned that a three percent level could trigger a reaction from the financial markets. 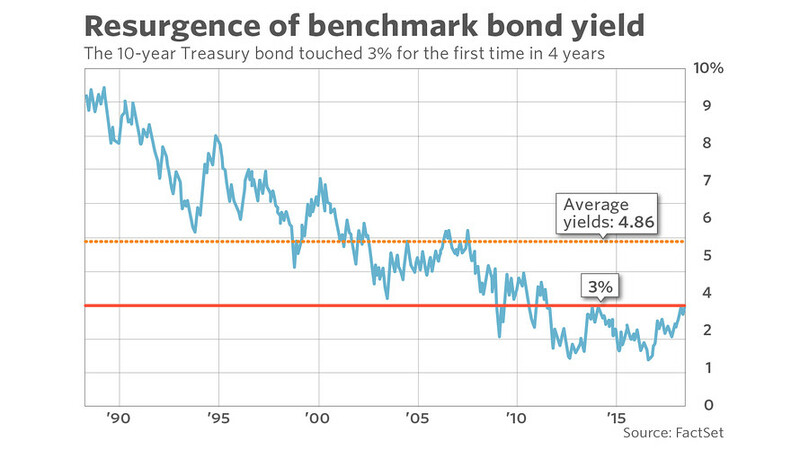 The ten-year yield is a barometer that influences borrowing costs for consumers, corporations, and governments. The yields likely drew support from strong consumer confidence and home pricing data. This yield is a sign of developing inflation rates. The rise in rates has been having mixed reactions. Some see the rates as a sign of a stronger economy to come while others see it as a threat to the bull market. Those who are fearful are nervous about the potential rise in corporate borrowing costs and mortgage rates. While the financial crisis was only ten years ago, the 3% yield is showing signs that the negative effects is beginning to wear off.